Recently acquired from a private collection by the Museum of Flying is this treasure, built in the Douglas Model Shop at Long Beach in 1967. 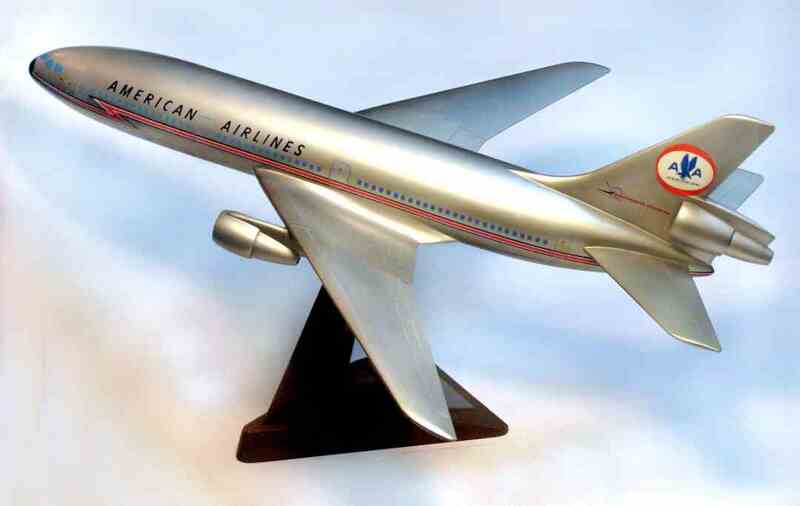 The original 1/100-scale solid wood American Airlines “Astrojet” shows the first iteration of a tail-mounted GE CF6 turbofan on the McDonnell Douglas design study for what became the DC-10. This was replaced by the “flow-thru” nacelle for the center engine on the lengthened production airplane.